In Lore of Nutrition, he explains the science behind the LCHF/Banting diet, and why he champions this lifestyle despite the constant persecution and efforts to silence him. He also discusses at length what he has come to see as a medical and scientific code of silence that discourages anyone in the profession from speaking out against the current dietary guidelines. Experienced journalist Marika Sboros provides the full backstory to the HPCSA hearing, which reads like something out of a spy novel. Written in an accessible style, Lore of Nutrition is informative, highly controversial and an eyeopener for anyone who cares about their health. Tim Noakes retired as Professor of Exercise and Sports Science at the University of Cape Town in 2014 and is now an Emeritus Professor at UCT. He is a lifelong athlete and is rated an A1-scientist by the National Research Foundation (NRF). He is also the co-founder of the Sports Science Institute of South Africa, along with rugby icon Morné du Plessis. In 2008, Tim was awarded the Order of Mapungubwe (Silver) by the president of South Africa for ‘excellent contribution to the field of sport and the science of physical exercise’. In 2012, he received the Lifetime Achievement Award from the NRF for his contribution to sports science research. He is the author of several books, one of which, Lore of Running, is considered the global ‘bible’ of running. 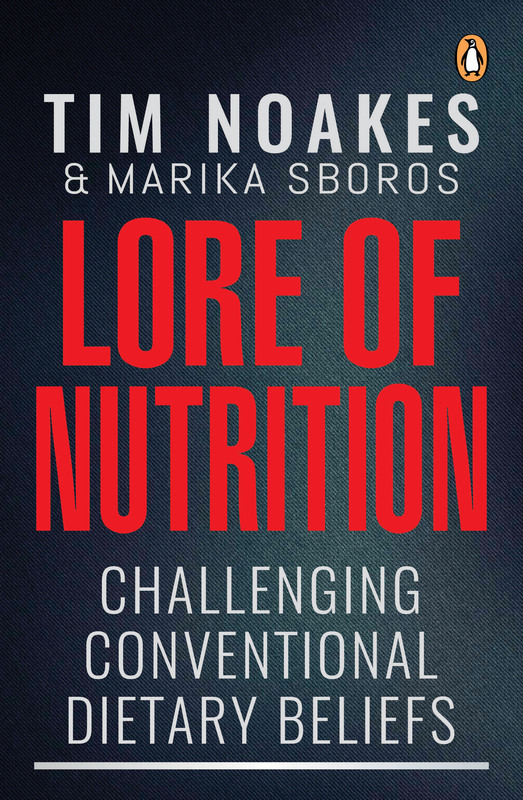 Tim founded The Noakes Foundation in 2012 to promote unbiased nutritional research into the effects of low-carbohydrate, high-fat diets on all aspects of human health.